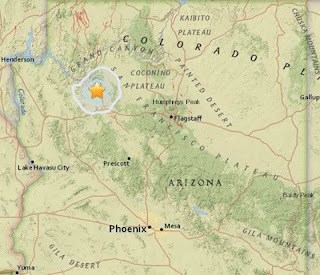 Earthquakes happen in Arizona. 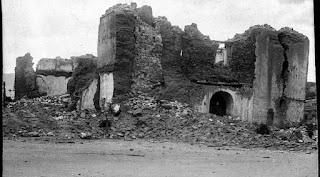 Robin Tricoles of UA Communications provides a rundown on the efforts of AZGS to monitor and interpret earthquake activity in Arizona. "The goal is to monitor the areas and try to figure out where the active faults are, the seismicity that's occurring and how much ground shaking occurs when we do have an event," says Jeri Y. Ben-Horin, research geologist with the AZGS, now based at the University of Arizona. "It takes many decades to figure out what the seismicity looks like for a particular state or region." 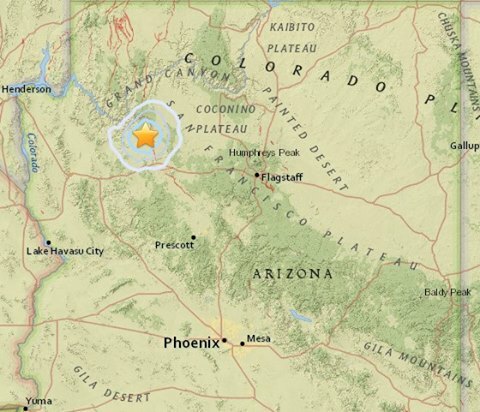 "However, scientists do know that some parts of Arizona are at higher risk for earthquakes than others, with Yuma being one of them, followed by the Flagstaff-Prescott area, says Phil Pearthree, AZGS interim director. In fact, the Flagstaff-Prescott area has experienced many moderate earthquakes with magnitudes up to 6.2." M 3.5 Earthquake near Peach Springs, AZ - 10/8/2016, 5:53 pm MST. Depth to focus ~ 8.6 km. No damage reported. According to AZGS Interim Director Phil Pearthree, the epicenter of this event was located just 5 km east of the west-dipping Aubrey fault zone. Join the Arizona Great ShakeOut #ShakeOut on 20 Oct at 10:20 a.m.